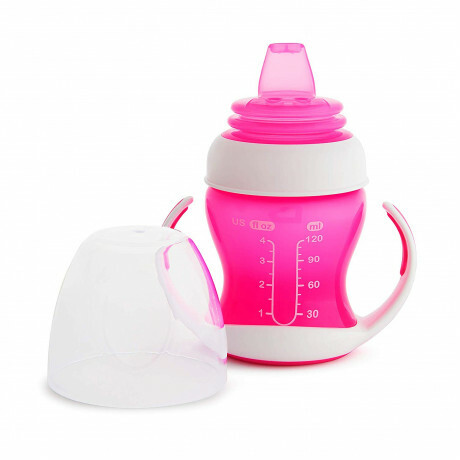 Moving to a sippy cup is an exciting first step toward drinking independence, but it can be confusing for bottle-fed babies. 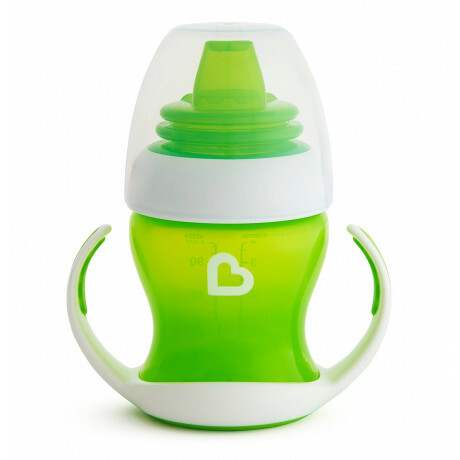 Make the change easier with the spill-proof Gentle Transition cup! 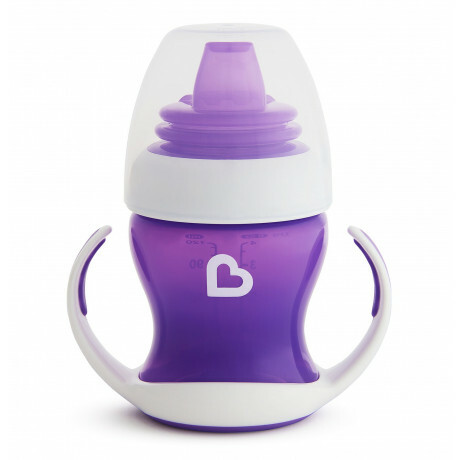 The soft, patented spout design is ext..
Moving to a sippy cup is an exciting first step toward drinking independence, but it can be confusing for bottle-fed babies. 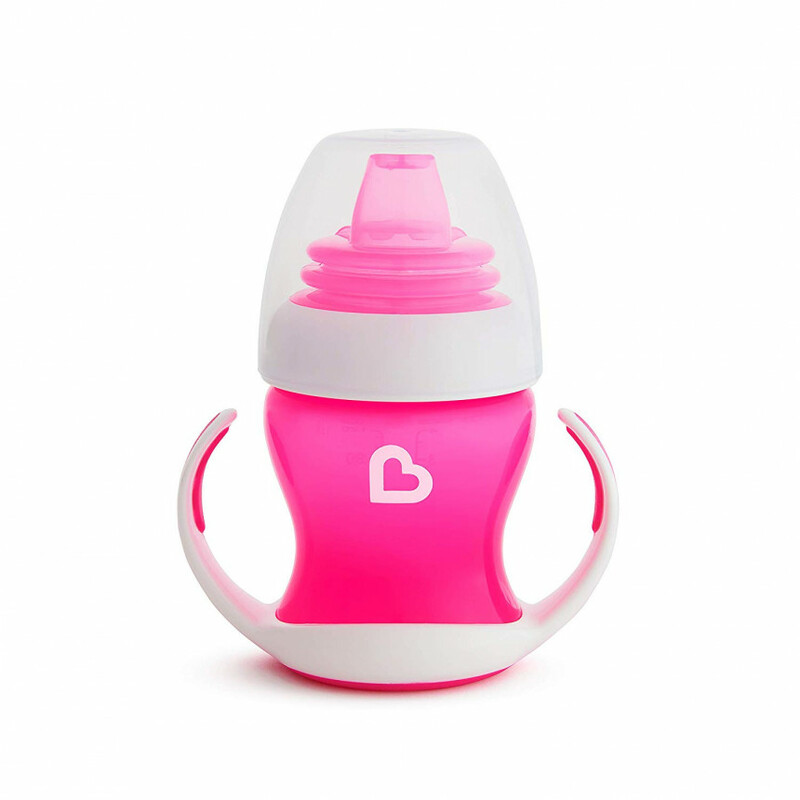 Make the change easier with the spill-proof Gentle Transition cup! 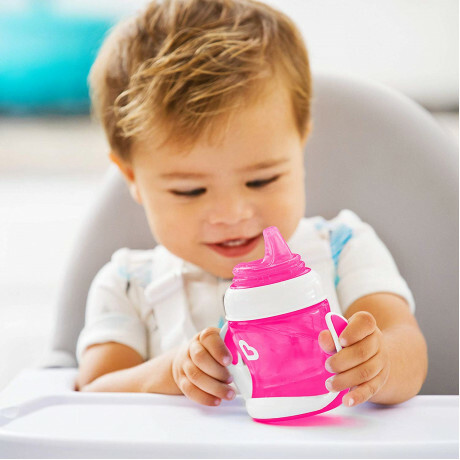 The soft, patented spout design is extremely flexible and gentle on babies' sensitive gums, and the removable handles make it easy for them to take the lead. 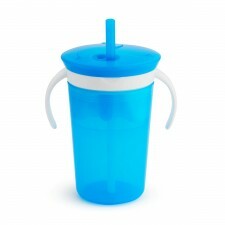 When it's time to leave the bottle behind, this spill-proof trainer is the perfect first sippy cup to introduce. 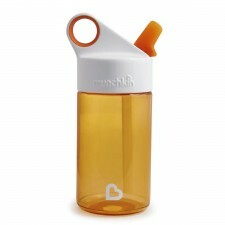 Cheers to hitting those milestones!